While live TV is great at bringing the latest news from around the world, they do suffer from their own set of problems. Funny incidents, bloopers, slip of the tongue are too common these days with thousands of channels that broadcast live. Sometimes things don’t go as planned and people are exposed to shocking moments they never expected. 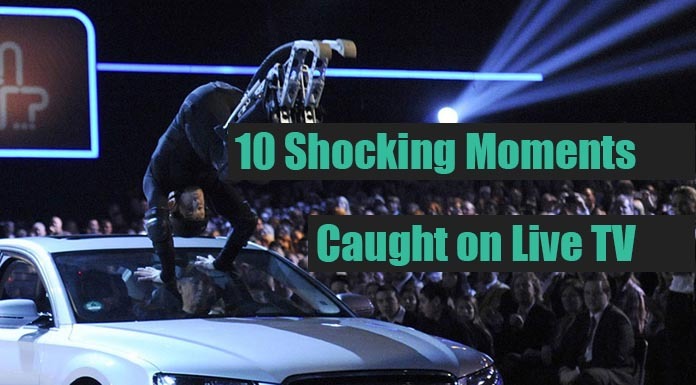 Here is a list of 10 such Shocking Moments that were caught on Live TV. We do warn that all the videos linked below are shocking so viewer discretion is advised. We haven’t included links to videos with too much blood and gore. 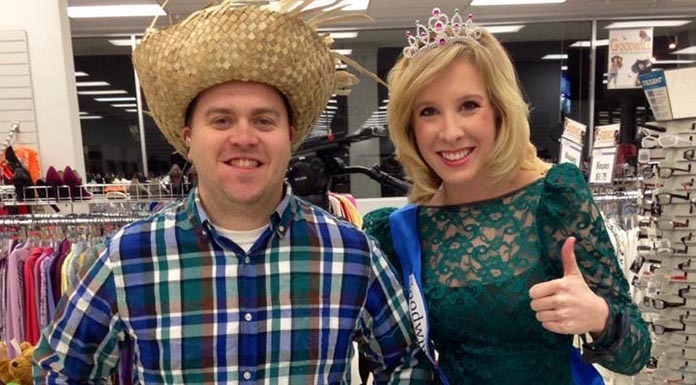 On August 26, 2015, news reporter Alison Parker and photojournalist Adam Ward, employees of CBS affiliate WDBJ in Roanoke, Virginia, United States, were shot to death while conducting a live television interview near Smith Mountain Lake in Moneta. The news team was interviewing Vicki Gardner, executive director of the local chamber of commerce, when all three were attacked by a gunman. Parker and Ward died at the scene while Gardner survived. The gunman was identified as 41-year-old Vester Lee Flanagan II, also known by the professional pseudonym of Bryce Williams, a former reporter at WDBJ. The station fired Flanagan for disruptive conduct in 2013. After a manhunt that lasted for almost five hours, Flanagan shot himself during a car chase with police officers and died later at a hospital. His question to presenter Marzena Rogalska was along the lines of “Hey, how would you like to risk impaling your hand on a nail?” She agreed, with a touch of reluctance. So he put a sharp nail into a paper bag, placed it alongside three other paper bags, shuffled the bags and then slammed his own hand on one of them. He was fine. Then it was Rogalska’s turn. She wasn’t, however, given a choice. Połoniewicz seemed to choose a bag for her and slammed her hand down hard. He proceeded to slam her hand directly onto the sharp nail inducing screams and cries of agony. Lee Harvey Oswald was an American former U.S. Marine who assassinated President John F. Kennedy on November 22, 1963. Following Kennedy’s assassination, Oswald was initially arrested for the murder of police officer J. D. Tippit, who was killed on a Dallas street about 45 minutes after Kennedy was shot. Oswald was later charged with the murder of Kennedy. Two days later, while being transferred from the city jail to the county jail, Oswald was fatally shot by Dallas nightclub owner Jack Ruby in full view of television cameras broadcasting live. Thomas Frederick Cooper was a British prop comedian and magician. On 15 April 1984, Cooper collapsed from a heart attack in front of millions of television viewers, midway through his act on the London Weekend Television variety show Live from Her Majesty’s. The show transmitted live from Her Majesty’s Theatre. People believed it was a part of the act, so the audience gave “uproarious” laughter as he fell, gasping for air. He was pronounced dead on arrival at the hospital. Inejiro Asanuma was a Japanese politician and leader of the Japan Socialist Party. In 1960, he was murdered by 17-year-old Otoya Yamaguchi, a militant nationalist, during a televised political debate for the coming elections. Yamaguchi rushed onstage and ran his traditional samurai sword through Asanuma’s ribs on the left side, killing him. Christine Chubbuck was an American television news reporter who worked for WTOG and WXLT-TV in Florida. In 1974, after covering some news stories, when the film reel of a restaurant shooting had jammed and would not run, she shrugged it off and said on-camera, “In keeping with Channel 40’s policy of bringing you the latest in ‘blood and guts’, and in living color, you are going to see another first—attempted suicide.” She drew the revolver and shot herself behind her right ear. She was suffering from depression and three weeks before her death, she had asked permission to do a news piece on suicide. She visited the local sheriff’s department to discuss methods of suicide with an officer. In the interview, an officer told her one of the most efficient ways to commit suicide. In a German (live) TV show called “Wetten dass..?” (“Wanna bet, that..?”) a 23-year old aspiring stuntman named Samuel Koch bet that he could frontflip over five moving cars using spring-loaded boots. The cars were of gradually increasing length. While the first three attempts were successful, the stunt went horribly wrong during the fourth try, when he failed to clear the car, driven by his own father. He hit his head on the windshield and broke his neck on impact. He survived but is now paralyzed from his neck down. In 1984, Leon Gary Plauche, a native of Louisiana shot and killed Jeff Doucet, who had kidnapped and sexually assaulted his son, Jody Plauche. It was captured on camera by a news television crew. Leon was given five years-probation for the shooting and received no prison time for killing Jeff Doucet. The courts decided that what happened to his son made him go crazy and he was in no danger of reoffending. In 1987, a politician named Budd Dwyer was found guilty of 11 counts of conspiracy, mail fraud, perjury and interstate transportation in aid of racketeering, and faced a sentence of up to 55 years in prison. The next day he shot himself on TV with a revolver during a press conference in Harrisburg, Pennsylvania. He was found innocent later. Someone had set him up. He professed his innocence from day 1. The reason he decided to kill himself was because if he died in office, his wife and family got all the benefits/pension owed to him. But if he got convicted, they would get nothing. So he killed himself to save his family. This video is available on youtube, but cannot be linked from here due to death and gore. In 1990, 32-year-old recovering drug addict named Joseph Burrus wanted to perform an escape trick on live TV. He had himself buried inside a plastic-and-glass coffin. A simple, but a critical mistake of not calculating the weight of the dirt and concrete cost him his life. The plastic coffin collapsed while hundreds of people were watching and filming the event. After 30 minutes of digging, he was pulled out, but the paramedics declared him dead. He died from asphyxia.